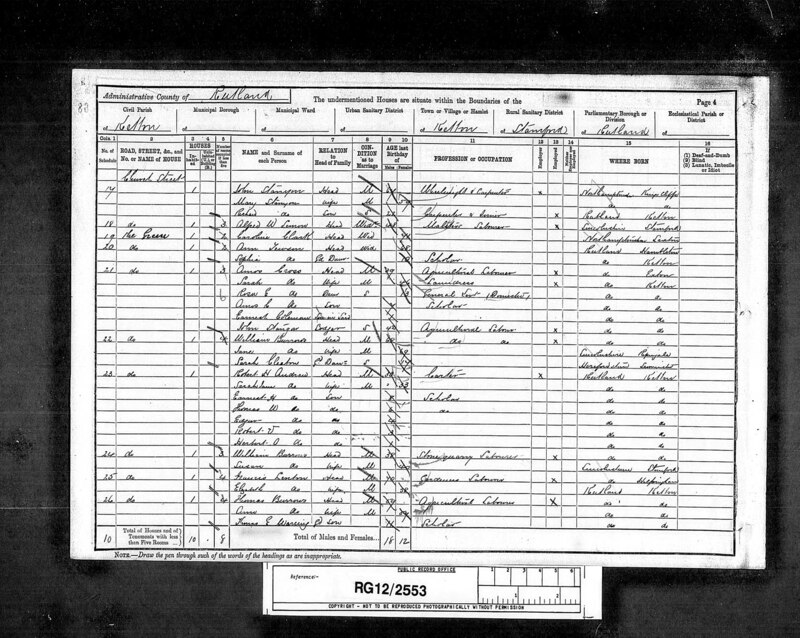 Anna Goodliffe was born August 31st 1796 in the family home of Lambley Lodge near Belton in the County of Rutland. She was the 4th child of Thomas and Mary. 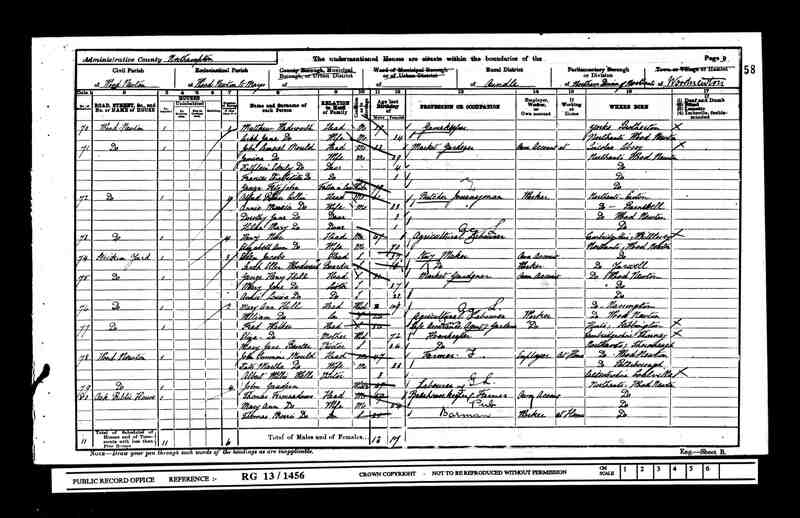 In the 1841 Census, Anna and John were living at Park St, Kings Cliffe, with daughters Anna (13), Mary (9), and son John (6). 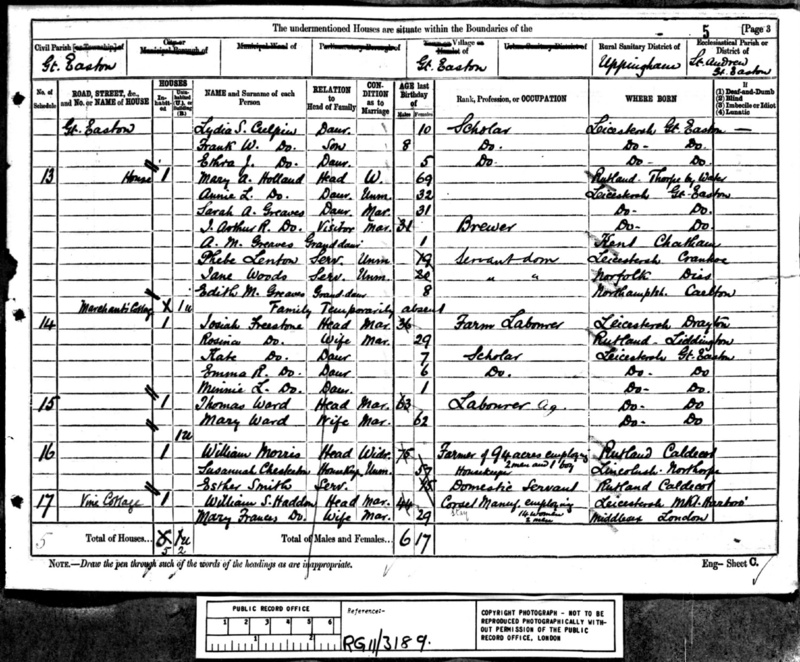 Daughter Sarah is living with her uncle Arnold Goodliffe at Bridlesmith Gate, Nottingham, just as Arnold had noted in his memoirs. 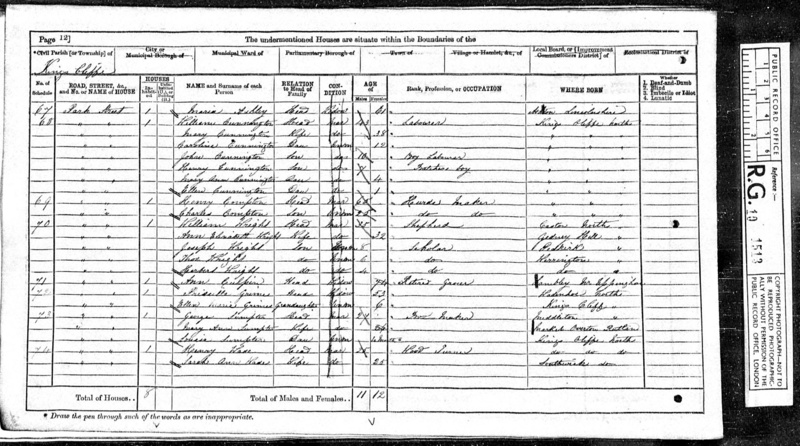 In 1851 Ann and daughter Anna are in Park St, Kings Cliffe. 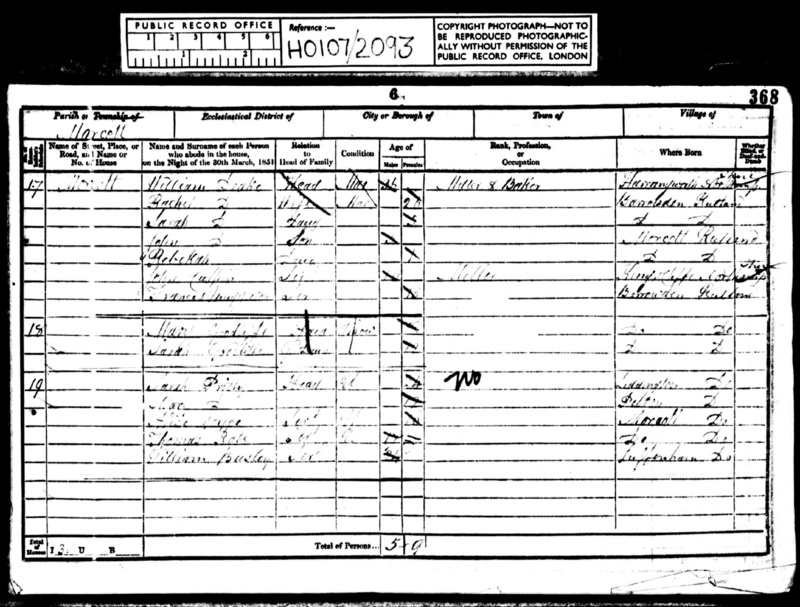 Ann is a widow, so John has died prior to 1851. 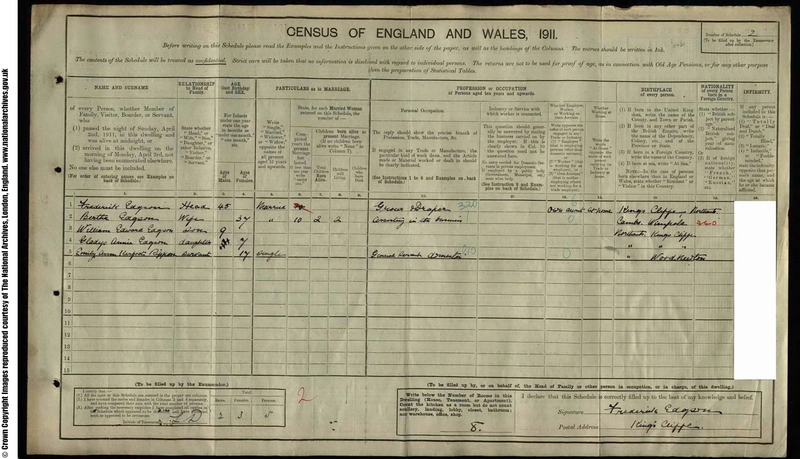 (His headstone was at the old baptist Chapel in Barrowden but was too worn to be read.) 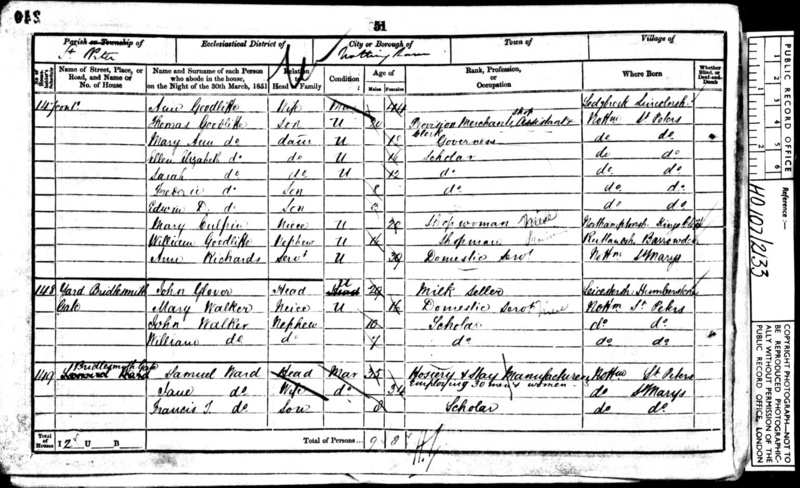 Daughter Sarah is a servant for Elizabeth Bretland at 17 Carlton St, Nottingham; Mary is living with her uncle Arnold Goodliffe in Nottingham. 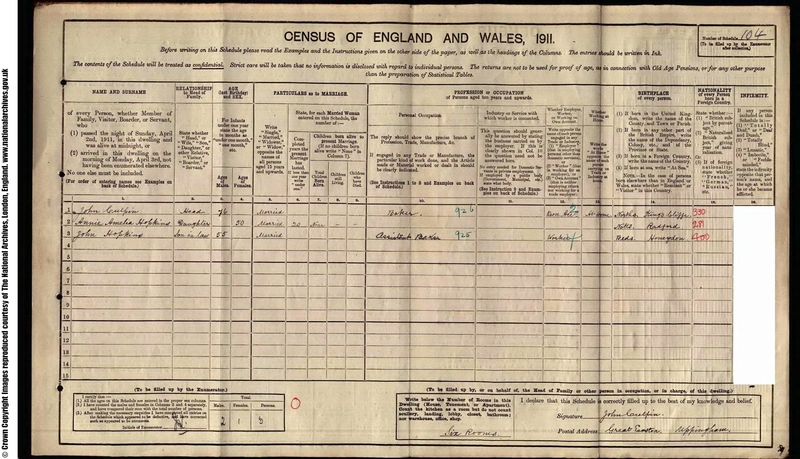 Son John is living with the Miller and Baker at Morcott, next door to his grandmother Mary Goodliffe. 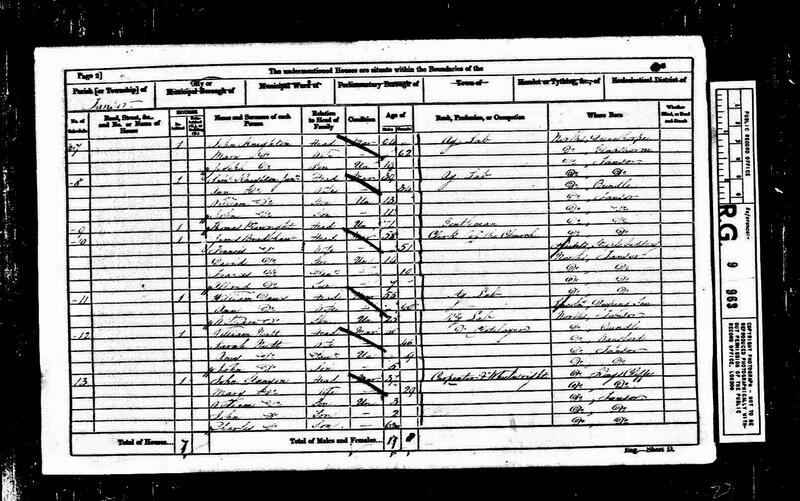 In 1861 Anna is living alone, a widow aged 64, still at Park St, Kings Cliffe. 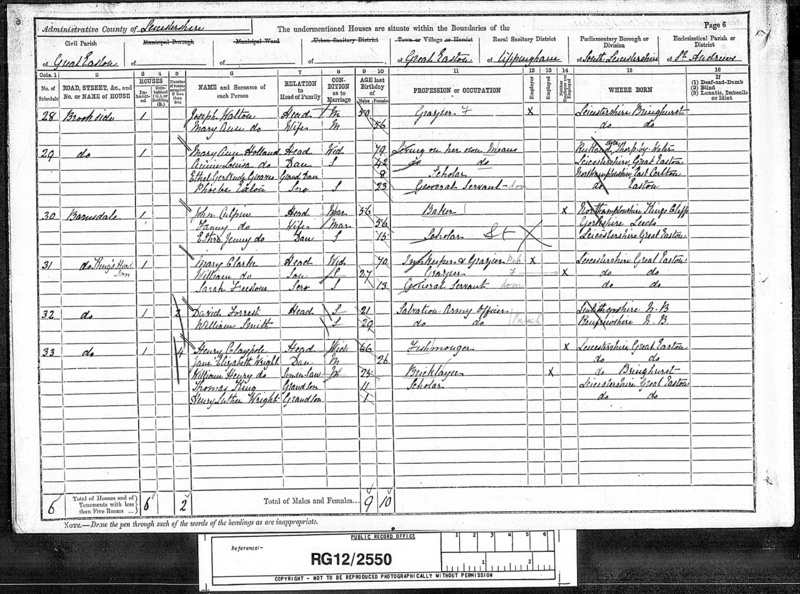 In 1871 Anna is still living at Park St, Kings Cliffe, aged 74. 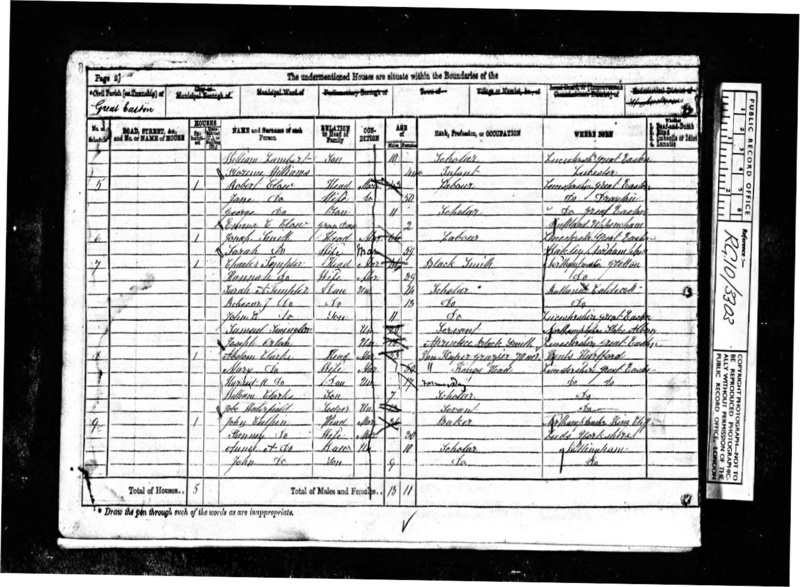 In 1881 Anna is now living with her daughter Anna and family at Wood Newton, aged 84. 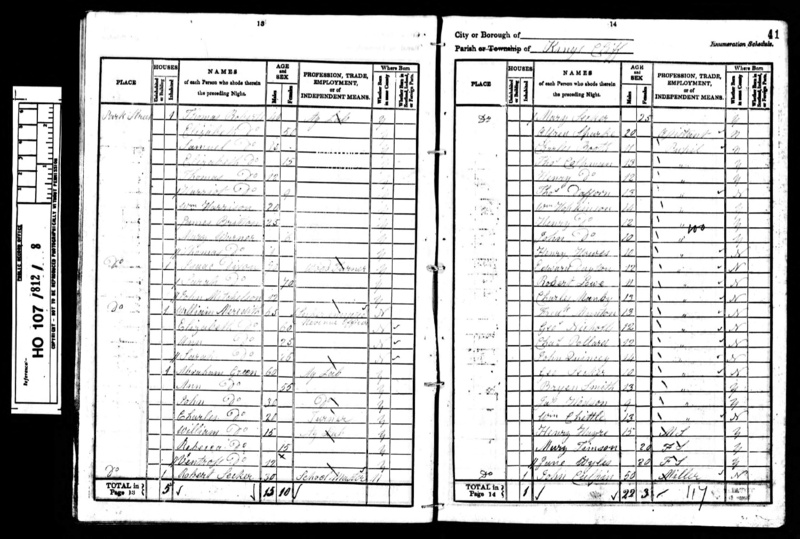 Anna Culpin died in Sep qtr 1886, aged 89 (Stamford 7a/216). John and Anna's headstone is in the churchyard of the old Baptist Chapel at Barrowden, alongside a number of Goodliffe graves. 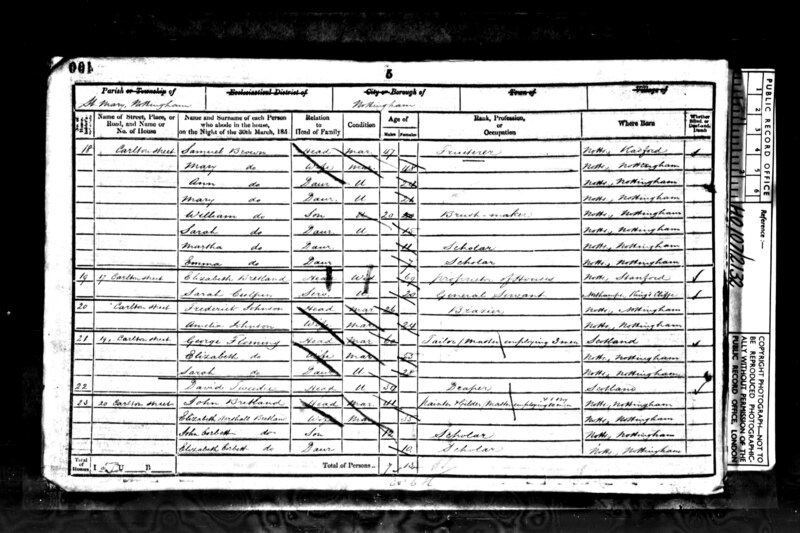 Anna married Simmons MOULD on 9 June 1851 (Oundle 15/499). 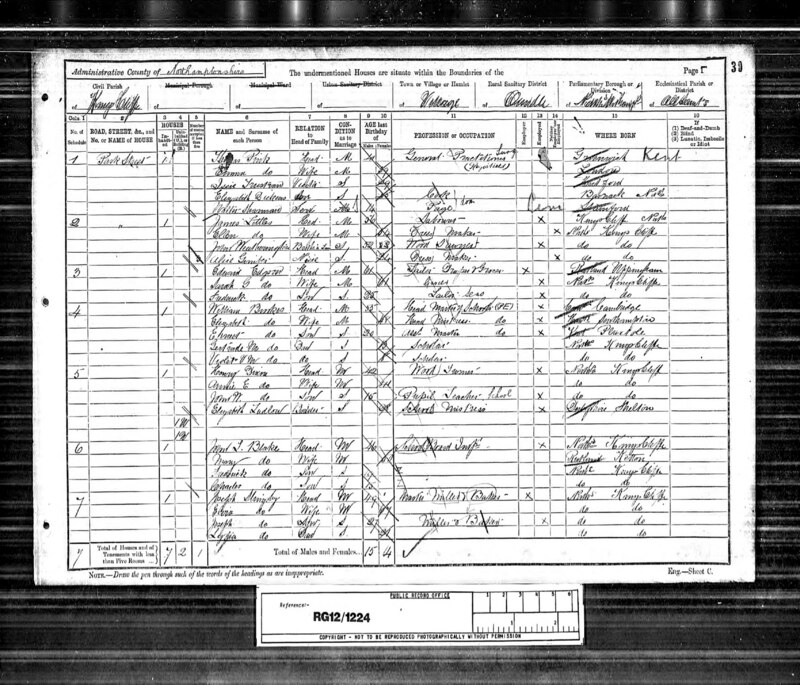 They had 8 children. Back row: L to R John Simmons, Mathew Henry, William Goodliffe, Stephen, and Frederick. This photo was taken probably in early 1890 shortly before Anna (Culpin) died. 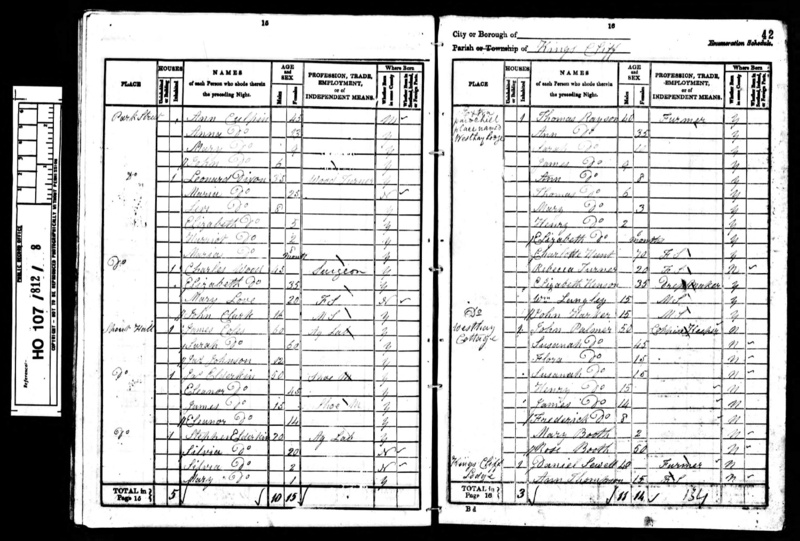 In the 1861 census Anna and Simmons are living at Wood Newton with Simmons parents, farmers of 90 acres. 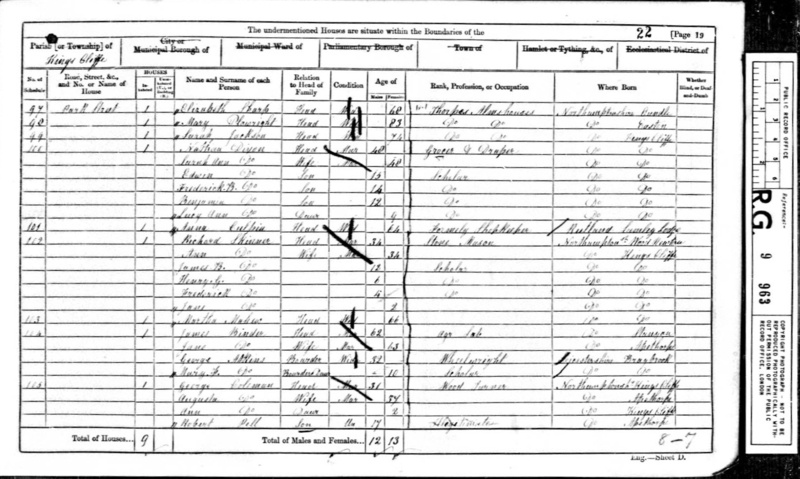 In 1871, son Matthew Henry was an apprentice grocer with Edward Young, 13 St John St, Stamford, Lincolnshire. 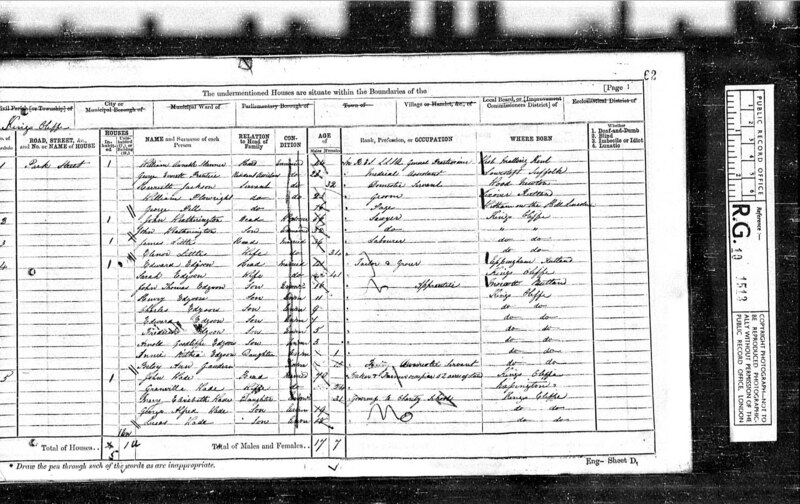 Son William Goodliffe, aged 16, was boarding with his uncle, Robert Mould at Crawthorne St, Peterborough. 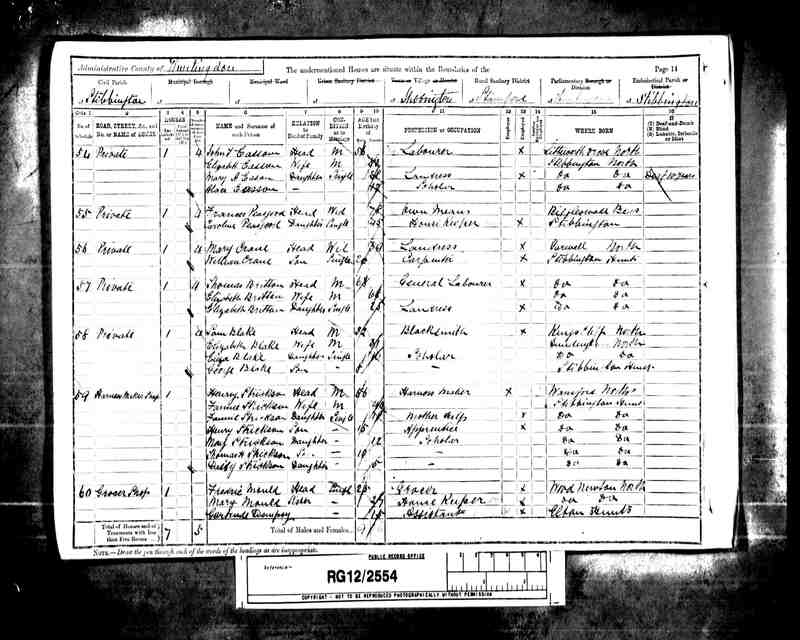 In 1881, William Goodliffe Mould was boarding at 17 Wellington St, Nottingham, and was an ironmonger. 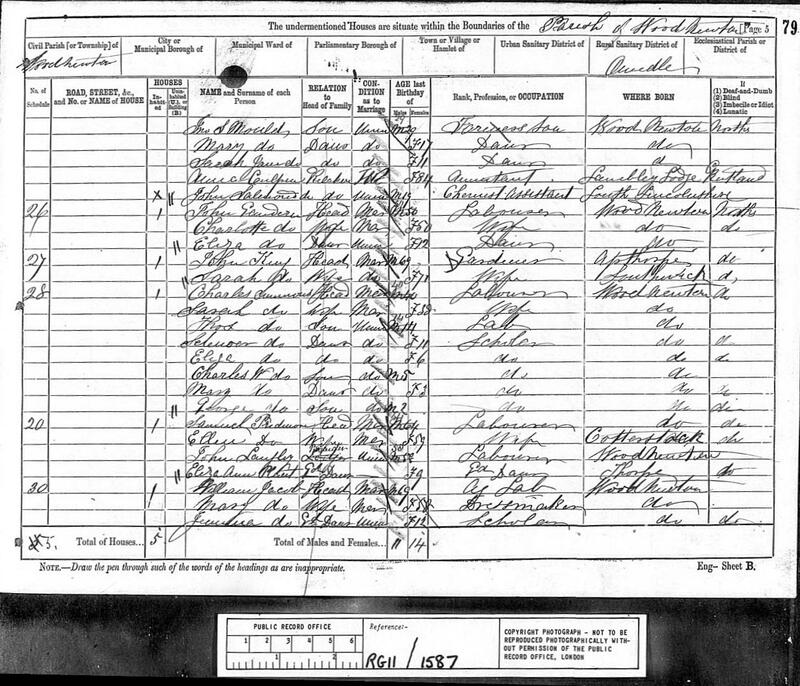 He married Julia Annie JACKSON in Sep 1882 in Nottingham (Nottingham 7b/516). They had two children: Percy Jackson and Effie Ada. 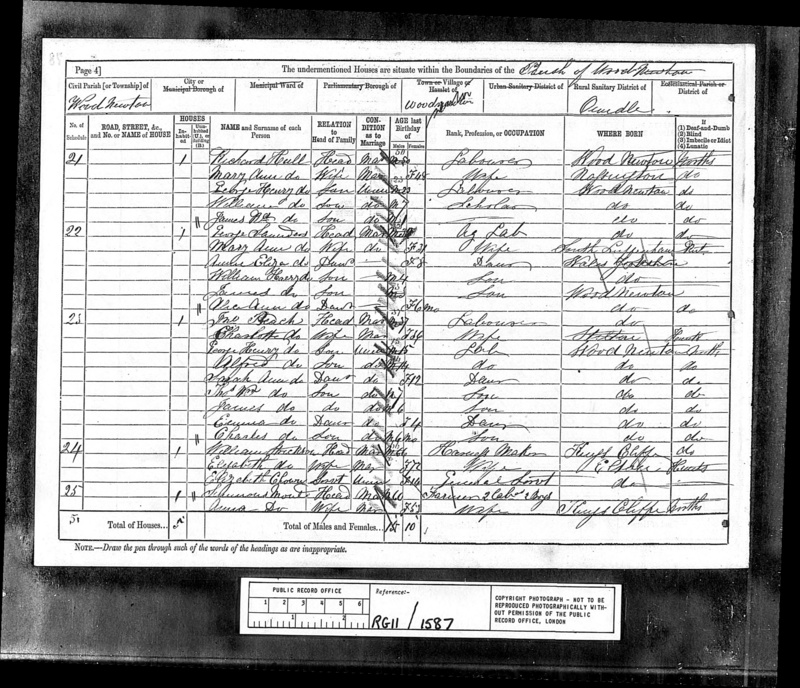 Anna died in Jun 1890, aged 62, at Wood Newton (Oundle 3b/122). 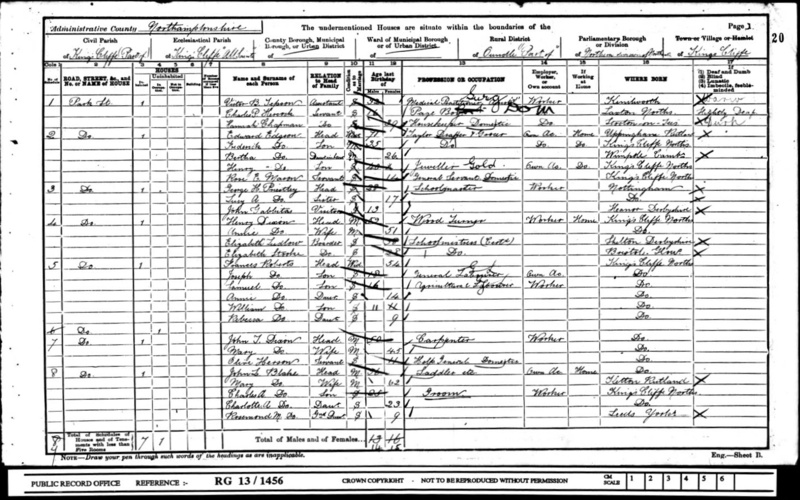 In the 1891 census, Simmons was living at Wood Newton with his son John Simmons, daughter Sarah Jane and grand-daughter Ethel Landin, aged 6 (daughter of Anna Mould and her husband Robert Landin). 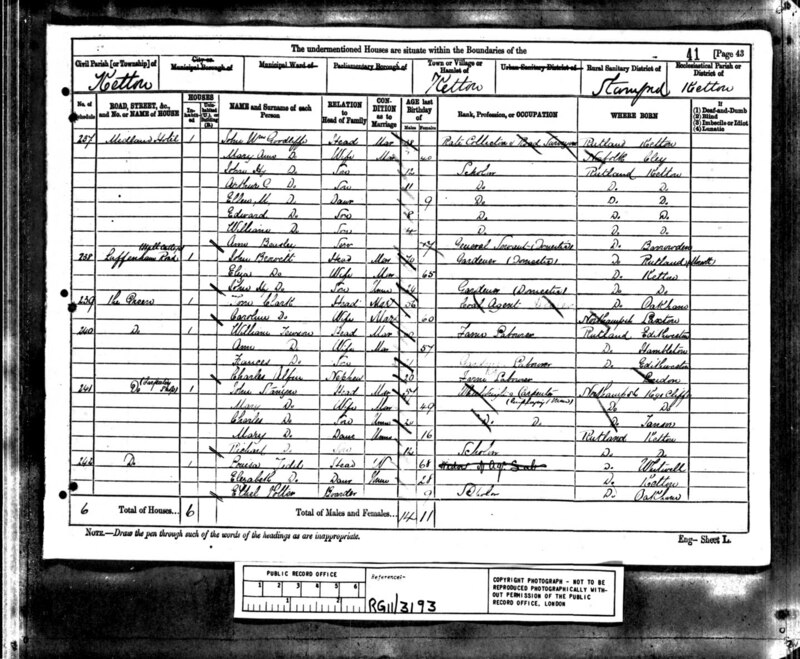 Simmons Mould died in March 1893, aged 72, at Wood Newton (Oundle 3b/132. 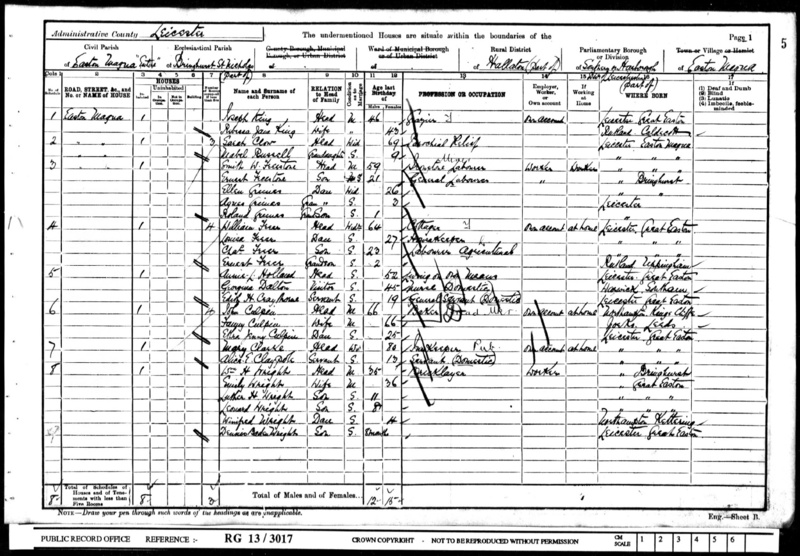 In 1901 John Simmons MOULD is still living at Wood Newton, running the farm. 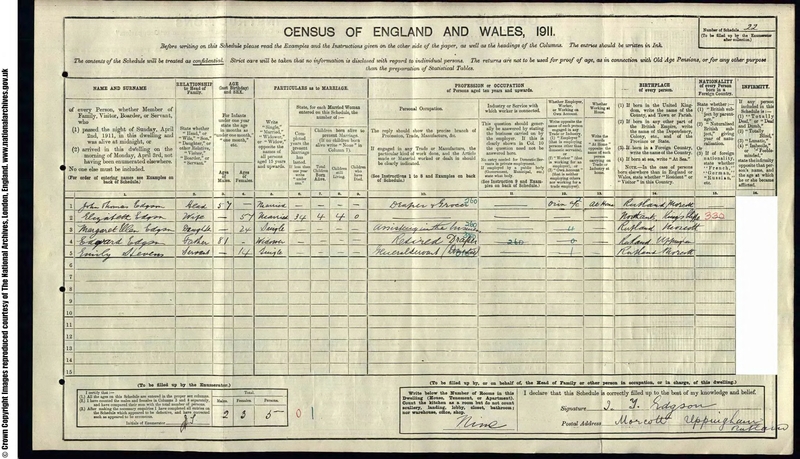 He had married Kate Martha MASON in 1898 (Dec qtr Leicester 7a/602). 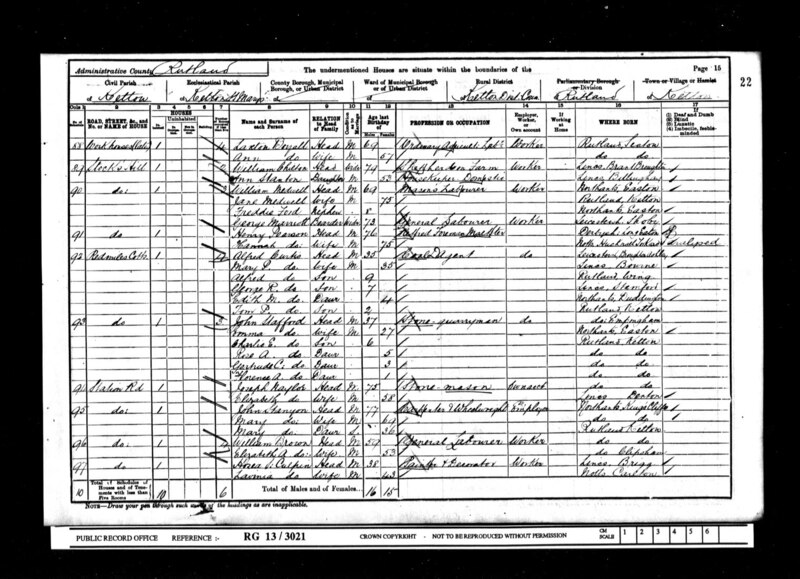 Kate Martha died in Oundle in June qtr 1926 (Oundle 3b/196) and her husband John Simmons MOULD died in Oundle in early 1927 (Mar qtr Oundle 3b/290). 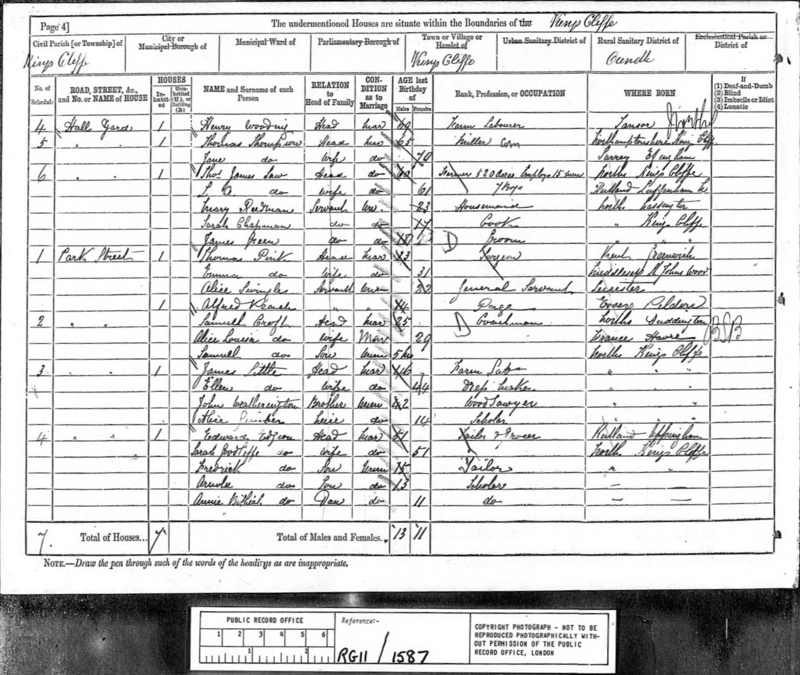 In 1861 1871 1881 1891 and 1901 they lived at Park St, Kings Cliffe. 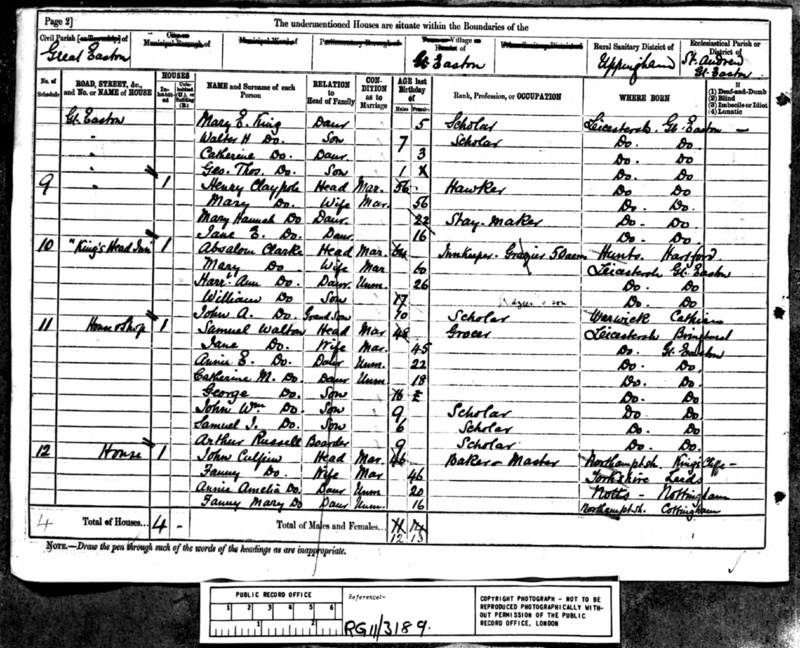 By 1911, son Frederick and wife Bertha had taken over the grocery and drapery busness. 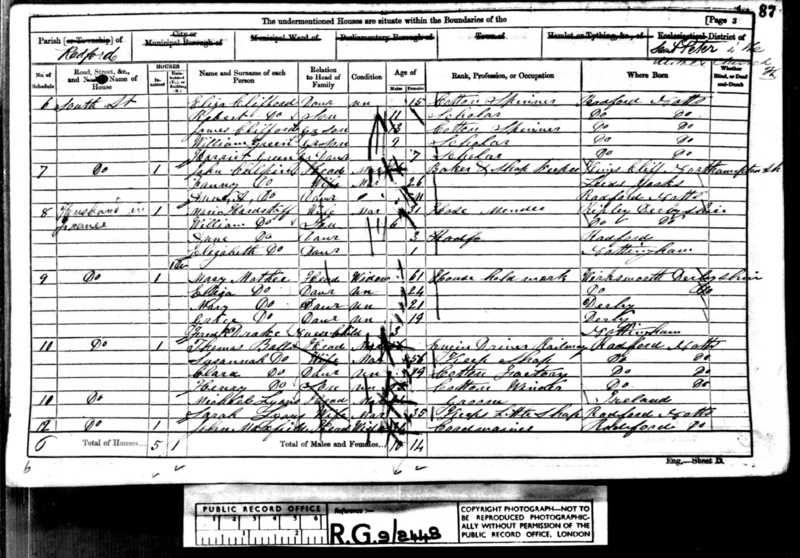 Sarah Goodliffe Edgson died at Kings Cliffe, Jun 1898 (Oundle 3b/119). 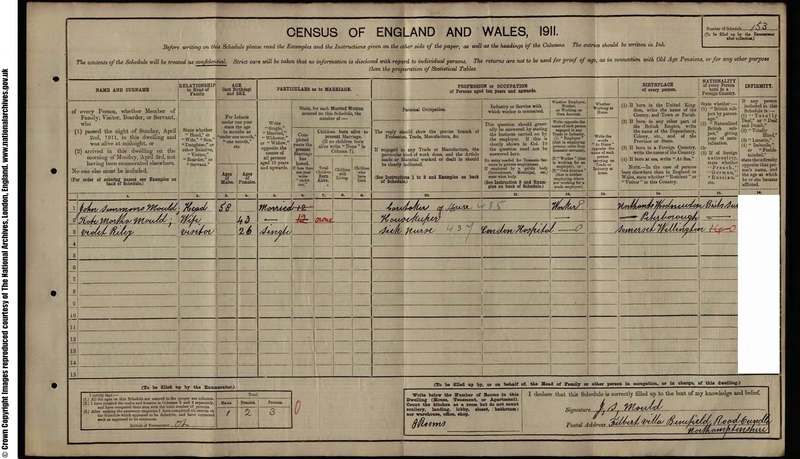 Edward died in mid 1916 (June qtr, Uppingham 7a/378. 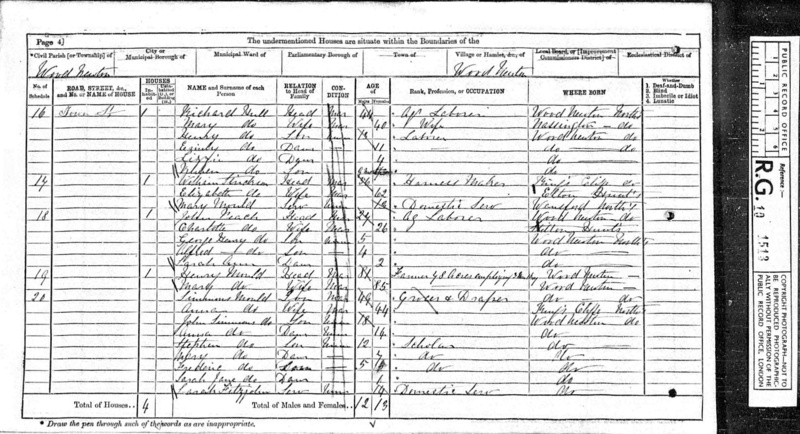 In the 1871 census they are living in Ketton, in 1881 they are at Luffenham Rd, Ketton. 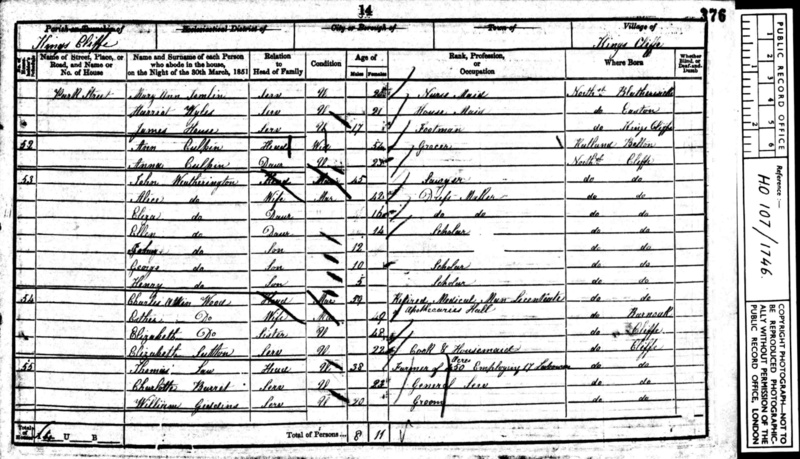 In the 1891 census, Mary and John are at Church St, Ketton, with youngest son Richard. 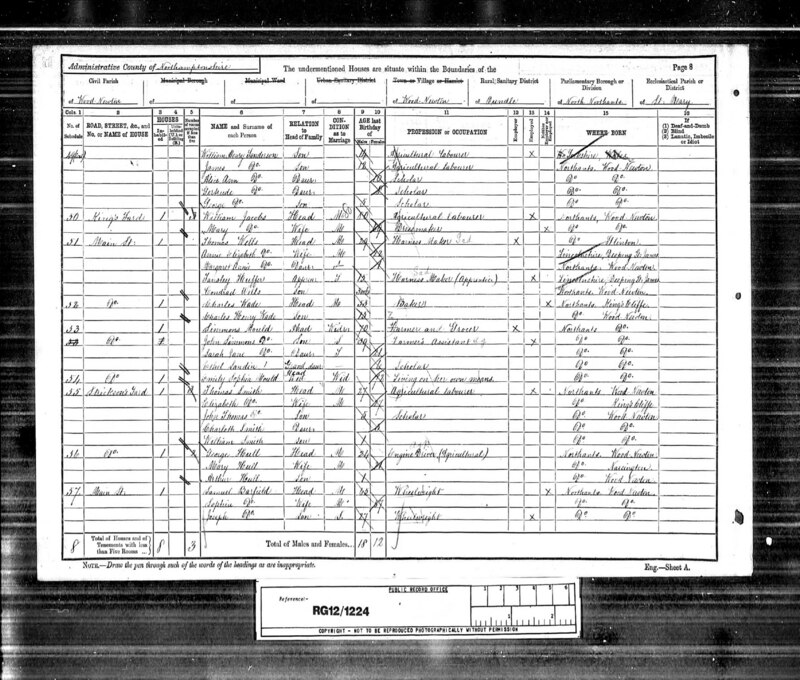 In 1901, they are at Station Rd, Ketton, with their daughter Mary aged 36 and unmarried. 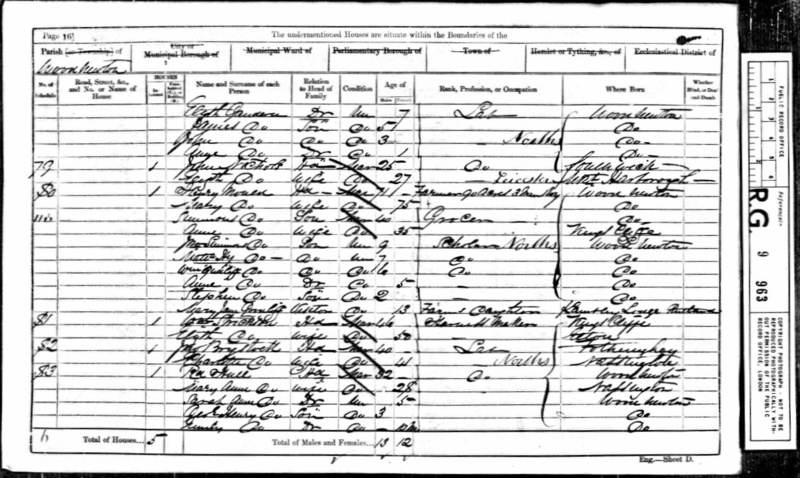 John died in Mar 1906 (Stamford 7a/228) aged 82. 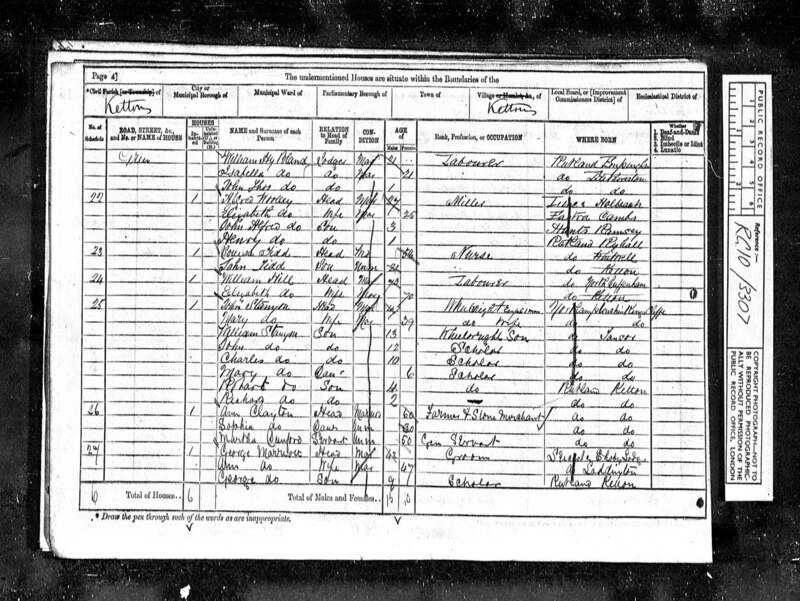 Mary died in Dec 1906 (Stamford 7a/200) aged 74. 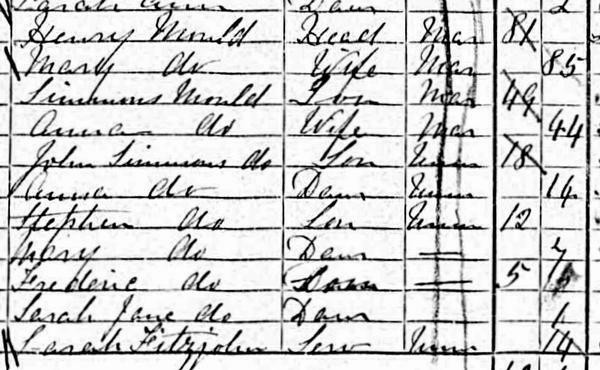 They appear to have lived in several different towns. 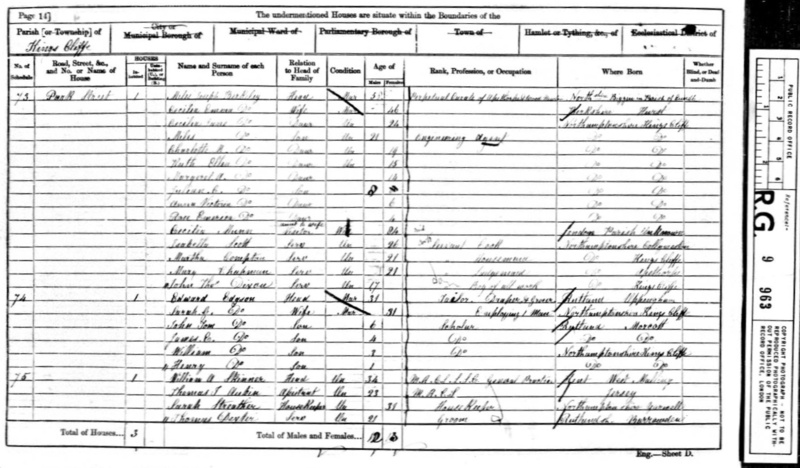 In 1861 they were at South St, Radford; in 1871 they had settled at Great Easton, Leicestershire, where they remained in 1881 and 1891 and 1901. John died in Jun 1918 (Uppingham 7a/340) aged 83. 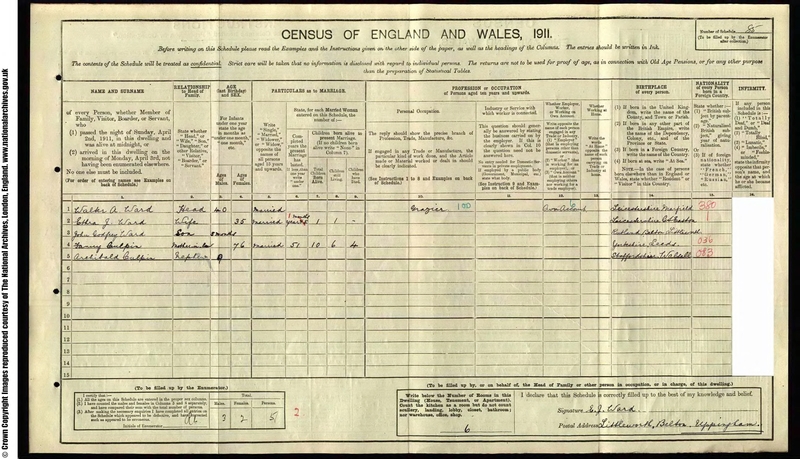 Fanny died in Jun 1926 (Uppingham 7a/341) aged 91.